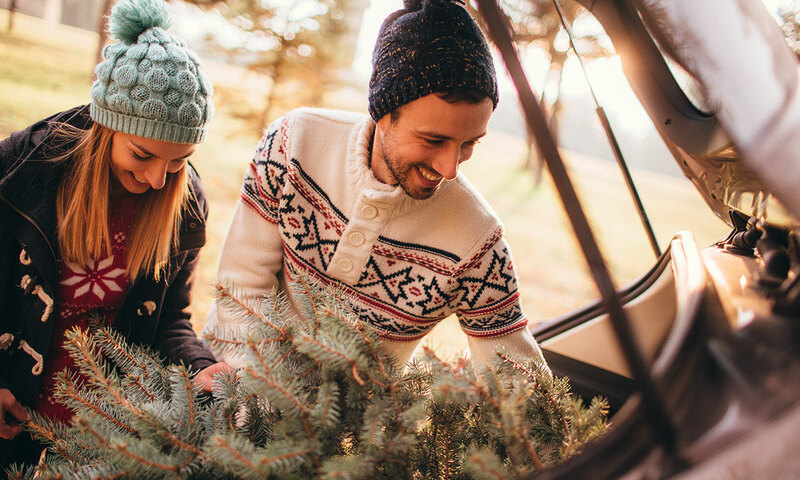 Choosing the perfect Christmas tree is one of the most magical and enjoyable parts of the festive season – that is until you need to drive it home and discover it won’t fit in your car. 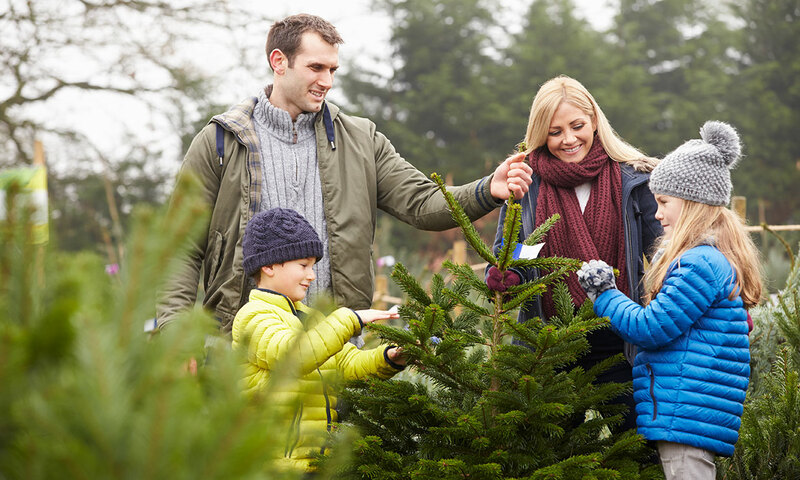 A large Christmas tree looks great when you’re picking it out, and there’s no doubt it will dazzle your guests at your annual Christmas get together. But we’ve discovered that none of the UK’s top five best-selling cars can squeeze in a Christmas tree that’s over 165cm – that’s 20cm less than the average-sized Christmas tree bought in the UK*. 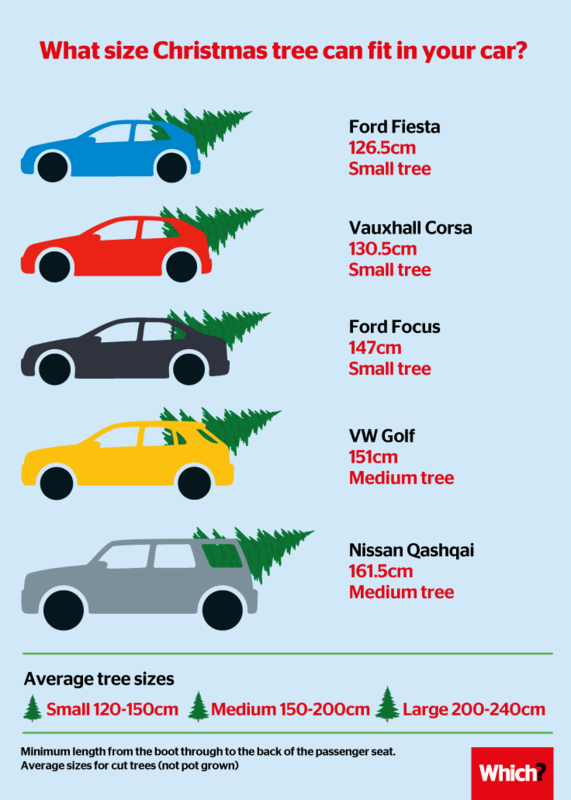 We’ve measured the inside of some of the most popular cars to reveal what size Christmas tree they can carry, so you’ll know what size tree to get and don’t end up having to drag it home. 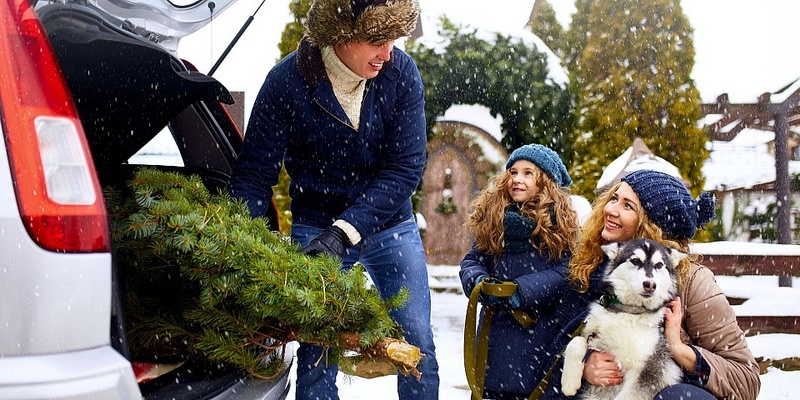 We also offer some top tips on choosing and caring for your tree, as well as the best way to load up the car – including how to get it on a roof rack. Already know your car’s too small? Jump straight to our expert pick of the best cars on sale today. How much space does your car have? None of the top five best-selling cars in the UK** can fit a large cut Christmas tree in its cabin. 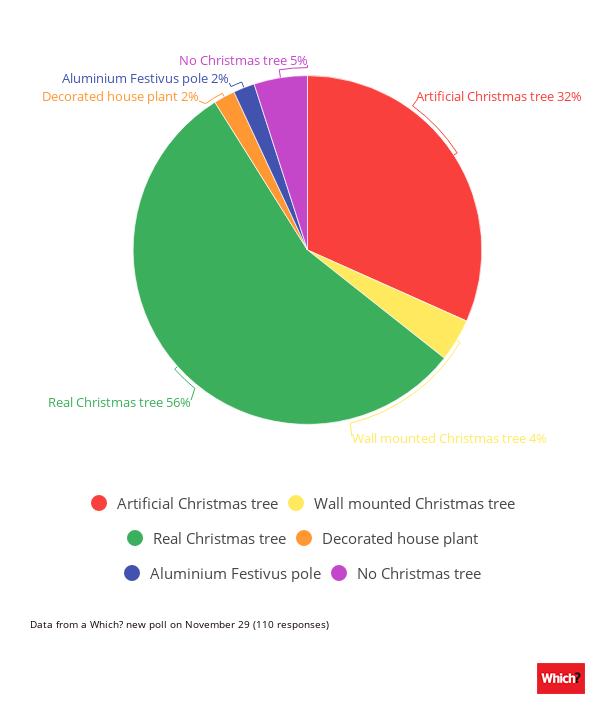 In fact, none of them can fit in a tree over 165cm – 20cm less than the average size Christmas tree bought in the UK . However, it’s important to note that some cars front passenger seat can be folded forwards. This will typically offer an average gain of around 45cm. So check your car and bear this in mind when you’re measuring up your tree. Our measurements go to show that just because your car looks big on the outside, it doesn’t mean it’s spacious on the inside. Despite being a beefy SUV, the Kia Sportage offers a minimum space of 151.5cm, which would only just fit a medium size tree. While the bulky Nissan Qashqai can only manage 161.5cm – this equates to just over 5ft. By contrast, some of the so-called small and medium models are also deceptively spacious inside. The current Honda Civic actually has a rather roomy cabin suitable for a tree up to 170cm tall. The Honda Jazz has a minimum space of 149.5cm, putting it right on the small/medium tree threshold – if you’re going for a medium size tree, you’ll want to put the passenger seat as far forward as possible. The Mini, on the other hand, really does live up to its name. Its usable space is just 118cm – so it’s unlikely you will be able to squeeze even a small tree in the back without some real effort. Only cars that are reliable, economical, comfortable, safe and good to drive can become a Which? Best Buy car. This will make it more manageable when loading it in or on to the car, while also protecting the foliage. Put all the back passenger seats down and remove any other luggage from the cabin. Some cars will also let you fully fold the front passenger seat down too. Once the tree is safely inside the cabin and all the doors are closed, make sure you can still see out of your windows, can move the gear stick easily and that nothing is hitting the steering wheel. ‘Larger trees can be very difficult to transport due to their size and weight’, explains Kamalvir Dhillon. ‘They are also easily damaged if not moved with care and consideration for their size. Staying safe on the road is the priority. We explain the raft of safety features available in cars. What kind of tree will you have this year? The British Christmas Tree Growers Association estimates around seven million real trees are bought each year. But it’s not just real trees people are buying these days. We surveyed more than 43,000 car owners in order to reveal the most – and the least – reliable cars. 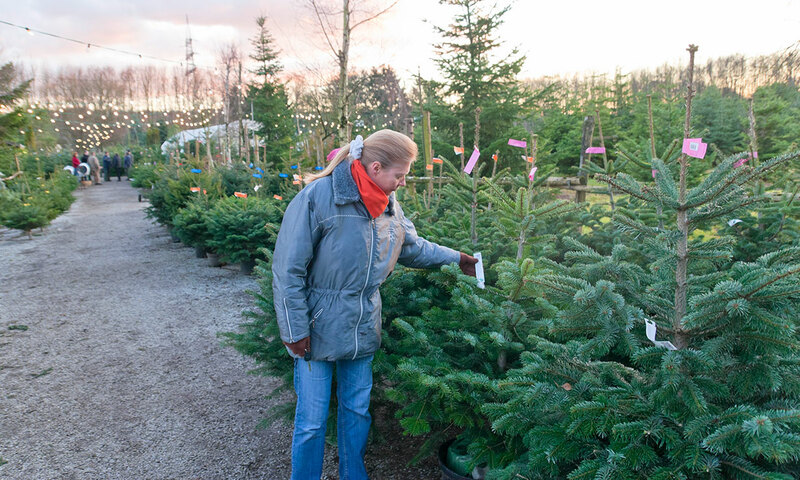 Nordmann Fir – rich green foliage, soft leaves and great needle retention. It will stay fresh for a long time as long as it’s watered. Norway Spruce – often regarded as the traditional tree but has been overtaken by the Nordman. The Norway has lighter green foliage and shorter needles. It is usually a pyramid shape and has a typical Christmas tree smell. Blue Spruce – natural blue foliage and a conical shape. Fraser Fir – leaner in shape with much denser foliage and a lovely scent. The Fraser firs branches are also turned slightly upward. The British Christmas Tree Growers Association estimates that about 80% of the trees sold in the UK are Nordmann Fir and around 10-15% Norway Spruce. The remainder of trees sold are lesser-known varieties. Research the type – every kind of tree has different needles, colours and smells. Pick the perfect size for your room – don’t overestimate the space you have. You want to leave around 6 inches on top of the tallest point of the decorated tree. Check the tree is fresh at point of purchase – it should have a healthy green appearance and no browning needles. Make sure you can get it home – check how much space your car has. If it’s not enough, get a roof rack, or rent a van or pay for delivery. Cut tree? – saw 3cm off the bottom of the trunk and stand it in a bucket of water. Potted tree? – keep it moist but don’t leave it sitting in water. Keep it cool – place it away from any radiators or heat source. Avoid sitting at the side of the road with your Christmas tree and broken down car for hours on end. Here are the best car breakdown providers.